The penetration of winter tires continues to gain ground in heavy commercial and light commercial vehicles – a trend that is complementing the steady demand from the passenger car segment. According to Fact.MR, nearly 220 million units were sold in 2017, with passenger cars accounting for over 50% of sales. Countries with harsher winters, such as the USA, UK, Canada, Germany, and Scandinavian countries have enacted laws to make winter tires mandatory under certain conditions. In Scandinavian countries, the regulations on winter tire use are more stringent in the heavy commercial vehicle (HCV) segment. A significant spike in demand has been witnessed after regulations were introduced in these countries. The preference toward larger rim sizes is gaining ground. This trend is pervasive across all vehicle types – two wheelers, passenger cars, LCV and HCV. Nearly 60 million 16-19in passenger car winter tires were sold in 2017, which was the highest across all vehicle classes. Premium winter tire companies are making incremental improvements – both in terms of technical upgrades and the addition of new sizes. For example, Nokian Tyres added new sizes to the WR A4 line-up, its flagship winter tire range for Central Europe. 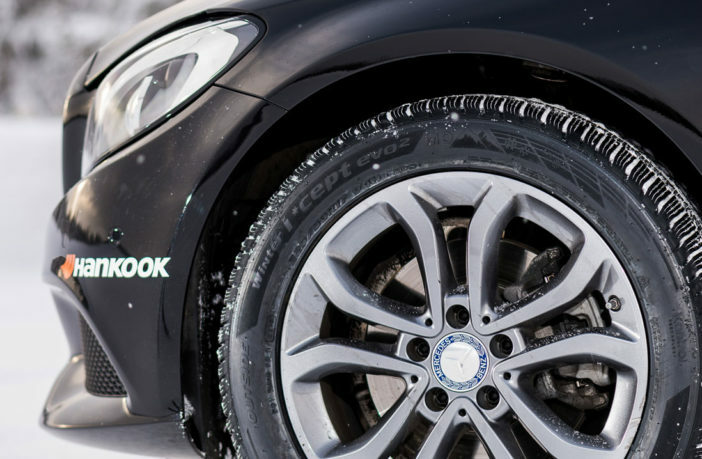 The company has made these premium winter tires available for modern electric cars as well. Continental also launched its new range of Winter Contact TS 860 S tires. These premium tires are available in sizes 18-21in, and are targeted at highly motorized vehicles. Asian tire manufacturers Hankook Tire and Yokohama Tire also have a significant penetration in this landscape, with cost being the key differentiator. Although Fact.MR’s study revealed that end-users prefer premium winter tires owing to positive perception and reliability, Asian manufacturers are steadily gaining traction as the market makes a steady shift from niche to mainstream. North America is a lucrative market for winter tire sales, with harsh winters and government regulations augmenting penetration. To consolidate its position in the North American market, Nokian Tyres is investing US$360m in Tennessee. The manufacturing plant is likely to have a capacity of four million tires per year. Another key factor driving the growth of the North American winter tires market is rising consumer awareness about the importance and benefits of winter tires. End-users show a marked preference for the independent aftermarket, with this sales channel accounting for nearly 52% volume share of the market in 2017. The status quo is likely to remain unchanged during Fact.MR’s review period, OES maintaining its position as the second prominent sales channel.